 Your gift to the Pat Adams Scholarship Fund with the Floyd County Community Foundation allows the Community Foundation to award financial assistance to students from Charles City Community Schools pursuing higher education. As the cost of tuition continues to rise, it is more important now than ever to diminish the barrier of affordability and allow students to focus on what is most important - their education. Your gift to the Dean and Marcie Andrews Family Fund with the Floyd County Community Foundation allows recommendations for grants to be made each year to support charitable causes that carry out the mission of the Community Foundation. Your gift to the Bucklin Family Church Endowment Fund with the Floyd County Community Foundation will help support the mission of the Marble Rock United Methodist Church. Your gift to the Bucklen Family Fund with the Floyd County Community Foundation will support students from Rudd-Rockford-Marble Rock Community School through scholarships; support and benefit the citizens of Marble Rock through community betterment grants; and support the charitable activities of Marble Rock United Methodist Church. Your gift to the Bucklin Family Scholarship Fund with the Floyd County Community Foundation allows the Community Foundation to award financial assistance to students pursuing higher education. As the cost of tuition continues to rise, it is more important now than ever to diminish the barrier of affordability and allow students to focus on what is most important - their education. Your gift to the City Improvement Association Quasi Endowment Fund with the Floyd County Commuinty Foundation will help support the City Improvement Association and its charitable activities. Your gift to the Charles City Area Dollars for Scholars Fund with the Floyd County Community Foundation will help provide college scholarships for local students. Your gift to the Charles City Community Excellence in Education Foundation Endowment Fund with the Floyd County Community Foundation will help the Charles City Excellence in Education Foundation provide financial support for special projects that cannot be funded by the school or falls outside the general curriculum. Your gift to the Charles City Noon Kiwanis Scholarship Fund with the Floyd County Community Foundation allows the Community Foundation to award financial assistance to students pursuing higher education. As the cost of tuition continues to rise, it is more important now than ever to diminish the barrier of affordability and allow students to focus on what is most important - their education.